It’s a new week and after thoroughly enjoying The Bookshop Detective last week I’m already onto my next read – and we are off to France for The French Adventure by Lucy Coleman. And, yes, I’m very aware that my air of disapproval does make me sound ungrateful and undeserving. But it’s all about self-preservation, you see. I’ll never utter that word again until I’m one hundred percent certain that the man I’m saying it to believes I’m their soul mate too – the perfect fit. 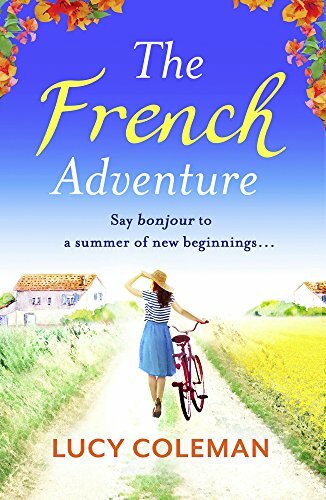 Released in February 2018 The French Adventure(TFA) is a sweet romance/ cozy mystery with a dreamy front cover that screams holiday read. After a fifteen-year gap I’m looking to take up languages again and I’ve always loved France(especially the food and the wine, obvs) so this was right up my street. 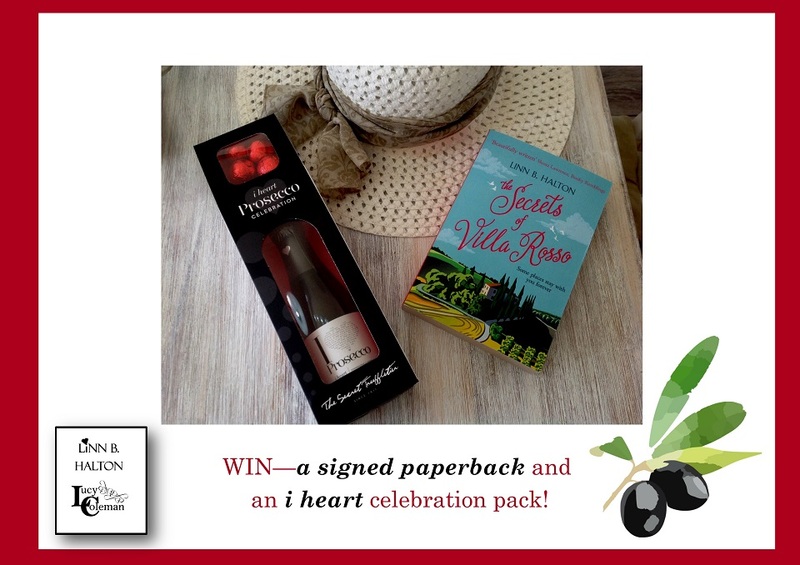 This is a standalone novel – so a nice easy read, perfect to chuck in your suitcase or pop on your e-reader. I have a love-hate relationship with romantic stories – I either get a few chapters in and lose interest or I enjoy every single word and cry a little when the book ends – I’m pleased to report TFA falls into the latter and is a gorgeous read. Anna is a really likable character and her story is easy to follow, I was totally engrossed from very early on. 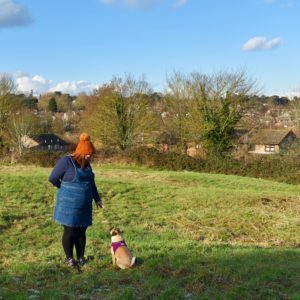 The descriptions of the idyllic settings are dreamy – not too much but just enough to really set a scene and in my case – I really want to jump on a boat and go and visit. I liked the author’s style of writing and I’ve mentioned many a time how for me reading is my way of unwinding and chilling out, therefore, I don’t like complicated stories; TFA is a brilliant and beautiful read that I thoroughly enjoyed from start to finish. 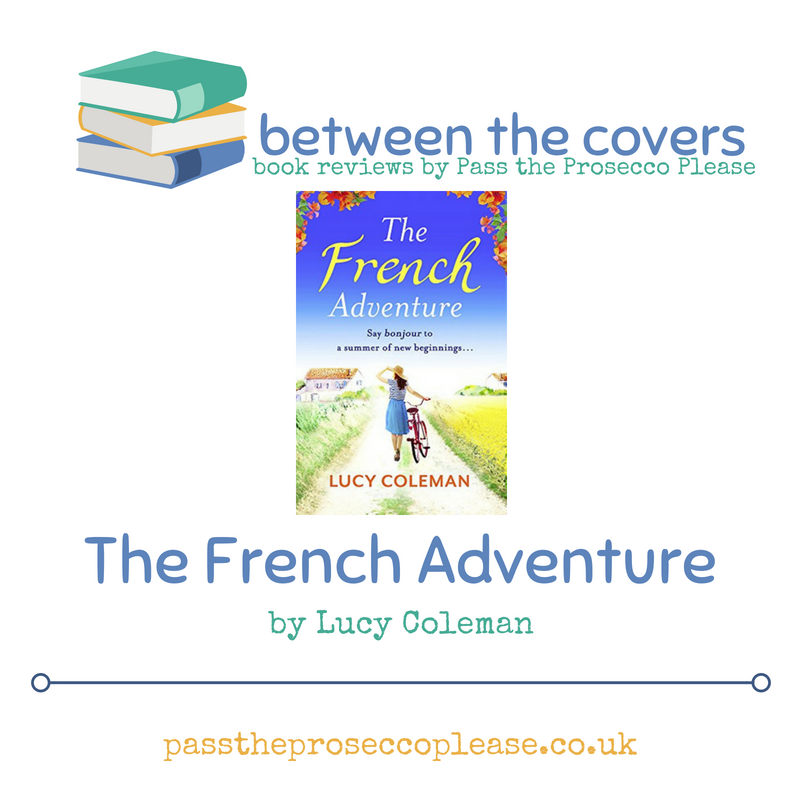 The French Adventure by Lucy Coleman is available on Kindle and in Paperback – click here to buy!